Paul Weller’s Wake Up Woking Gig – Set List! – Paul Weller News! Paul Weller’s Wake Up Woking Gig – Set List! 4 Comments on Paul Weller’s Wake Up Woking Gig – Set List! FANS of Woking’s most famous son packed out Woking Leisure Centre for a charity concert to raise funds for Woking and Sam Beare Hospices. About 1,200 tickets were sold for the gig, Wake Up Woking, on Sunday night and it is expected more than £60,000 has been raised for the hospices. Paul, who grew up in Maybury, praised his “fantastic audience” and said he was pleased to be supporting a great cause. It is the first time he has played in the town for more than 30 years. Strange Town, Wild Wood, You Do Something to Me and Moonshine were just some of the many tunes in the two-hour set. And the surprise for the night was when Paul welcomed Bruce Foxton, the bass player in The Jam, up on stage for a few numbers, including The Eton Rifles. The concert was organised after Weller’s friend, Sam Molnar, had a dream to ask his friend to play in the town where his music began. For more photos and the full story, buy a copy of this week’s News & Mail, out Thursday. Excellent set from Paul and the Lads best gig ive ever been too, really good crowd, sound and atmosphere was electric had such a buzz about the place. crackin nite. Seconded. Bruce at the RAH was a bit “guest star” last night was as close to a Jam gig as we'll get. Jason Richardson from Financial Profiles? I saw you there.. Previous Entry Paul Weller Will Perform At The Last Friars Show At Aylesbury Civic Centre TONIGHT! 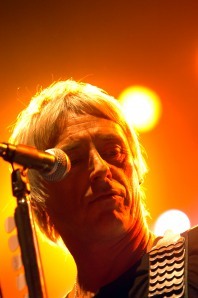 Next Entry Paul Weller Has Added A Second Concert In New Zealand!